Lockhart Elementary School students and staff joined other members of the Massapequa School District community to honor local veterans on Nov. 9. Fourth- and fifth-graders participated in the annual Veterans Day ceremony along with Principal Stephen Scarallo and Assistant Principal Laura Hulsaver, board of education trustees, central administrators and elected officials from the Town of Oyster Bay and Nassau County. 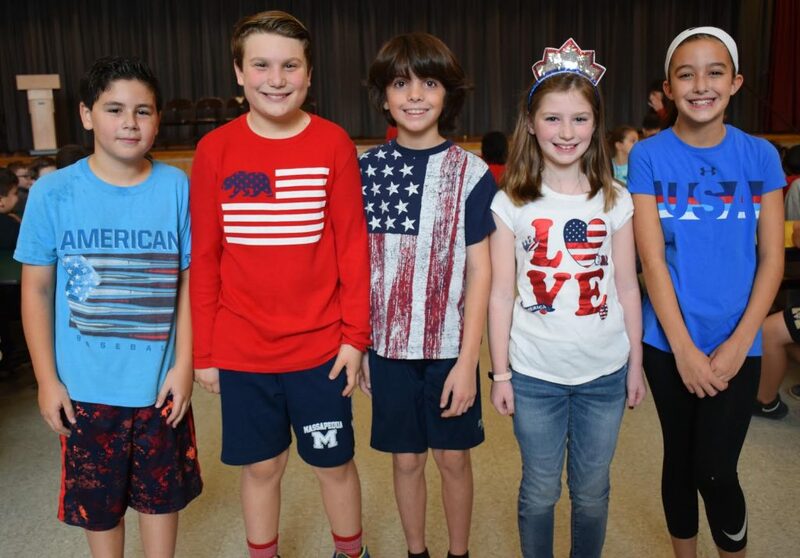 Student Council members spokes about the history of Veterans Day, a national holiday that originated as Armistice Day. Veterans from VFW Post 7763 in Massapequa Park provided a color guard. Ms. Hulsaver read a veterans roll call of names of local residents who have served in the military and band teacher Michael Molloy played a medley of patriotic songs on the bagpipes.